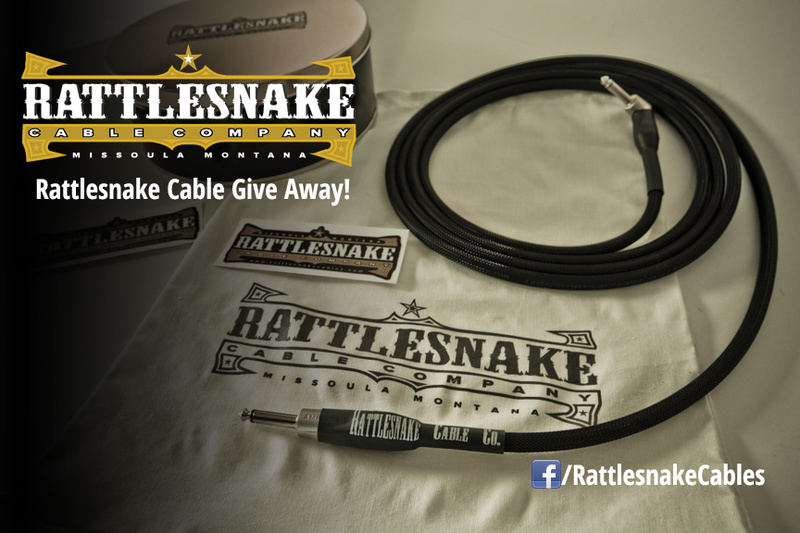 Home Rattlesnake Cable Give Away! Over on our Facebook page, I announced a new little venture I started called Rattlesnake Cable Company. I thought it would be fun to do a little give away to promote it a little bit! A little about the cables. I started building cables initially for myself. I wanted a cable that was burly and heavy duty with some excellent plugs AND have great signal clarity. I spent a couple of months prototyping cables until I found the perfect combination. That was a year ago, and since that prototype, I’ve been hooking up friends and musicians and the response has been fantastic. I just recently finished the website, and I’m offering them to the masses now. These cables are custom built, and built to order and it has been a privilege hearing what musicians are saying about them. To see examples, please check out the website! So, like I mentioned, I’m giving a cable away. Here is how to enter. I initially said you had to ‘like’ the page to get in, but found out that was against FB’s terms, so here is a form to enter. If you do ‘like’ Rattlesnake Cables on Facebook, and you’re the random winner, I’ll also throw in a full Pedal Label pack, so it’s a no brainer to like us on Facebook as well! I’ll pick a random winner from the page on July 31st (Wed) at 2PM MST. If you’re the winner, I’ll send you a 10′ black Rattlesnake ‘standard’ cable with right angle and straight Amphenol plugs. This is open to everyone! Please fill out the form below. Amazing Cable and good giveaway ! !